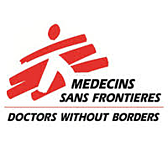 Médecins Sans Frontières (Doctors Without Borders) is one of the largest and most well-respected non-profit organisations in the world. Established in 1971, MSF delivers emergency medical aid to the world’s most vulnerable people when they need it most, often operating in areas affected by armed conflict, natural disasters and epidemics. It is active in over one third of the world’s nations and employs thousands of medical, logistical and administrative staff in various offices around the globe, including in its UK & Ireland office (MSF UK-IE). Why – did they hire FYXER? A worldwide humanitarian organisation, MSF is made up of 24 independent associations all bound together by MSF International in Geneva. Each association is responsible for carrying out MSF’s charter and principles, while also sharing resources and expertise with all those under the MSF umbrella. As such, coordination both within and between associations is crucial to the success of the movement. In addition, MSF associations are almost entirely funded by private donors, with as much resources allocated to humanitarian activities as possible. As such, MSF UK-IE only spend 2% of its funding on office management. With its support team working at a capacity, MSF UK-IE needed a flexible, cost-effective solution to help with coordination and administrative duties. They turned to FYXER. FYXER was brought on board to support the association’s internal EA team, providing procedural, administrative and personal support. Meanwhile, Fyxers would free-up the time of key personnel. This could take the form of providing diary management services and inbox support to the Head of HR or covering for the over-stretched EA team. The latter allowed team members to take annual leave or head out on overseas secondment without the need to make a new hire or see a slowdown in operations. FYXER also supported the team in their administrative duties, even attending meetings in person to take notes and ensure the smooth flow of events when MSF personnel were away. 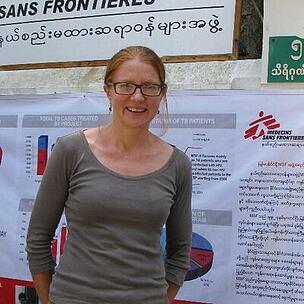 FYXER ensured MSF UK-IE fulfilled their obligations in a cost-effective manner. At a time when existing support structures were working at capacity, FYXER provided respite for the support team without any let up on their duties. In addition, FYXER’s flexible, pay-as-you-go model, meant that no unnecessary expenditure was used, helping MSF UK-IE keep to its 2% office management budget. MSF UK-IE needed a flexible, economical solution to help with coordination and administrative duties. FYXER’s model ensured MSF UK-IE fulfilled its obligations in a cost-effective manner. “Given the size and scope of MSF’s operations, we needed a fast, responsive service that could provide support as when we needed it. With FYXER, that’s exactly what we got. Straight from the off, they reduced the pressure on our support team, carrying out tasks professionally and to a very high standard”.